Fair enough, after almost thirty years with very little updating, it’s probably time to make some improvements to the industry’s new car stickers. I’m all for providing consumers more and better information to enable them to make the vehicle purchase decision that is best suited to their needs and desires. I doubt that anyone in the industry would disagree. The question now is…will anyone listen to him? As reported in today’s Detroit News, Audi of America’s Johan de Nysschen called out the current political leadership for “falling in love” with electric vehicles. He’s absolutely right, EVs and Hybrids have become the fashionable automotive technology and Washington’s choice for the future. The only problem is that EVs won’t make a difference for two decades. The New York Times reported that “plug-in hybrids would not have a significant impact on the nation’s oil consumption or carbon emissions before 2030.” To be clear though, de Nysschen is not saying EVs and Hybrids are wrong or won’t play an important role in the future. What he’s saying is that Washington is picking winners and losers from a technology point of view rather than remaining agnostic, and he’s right. 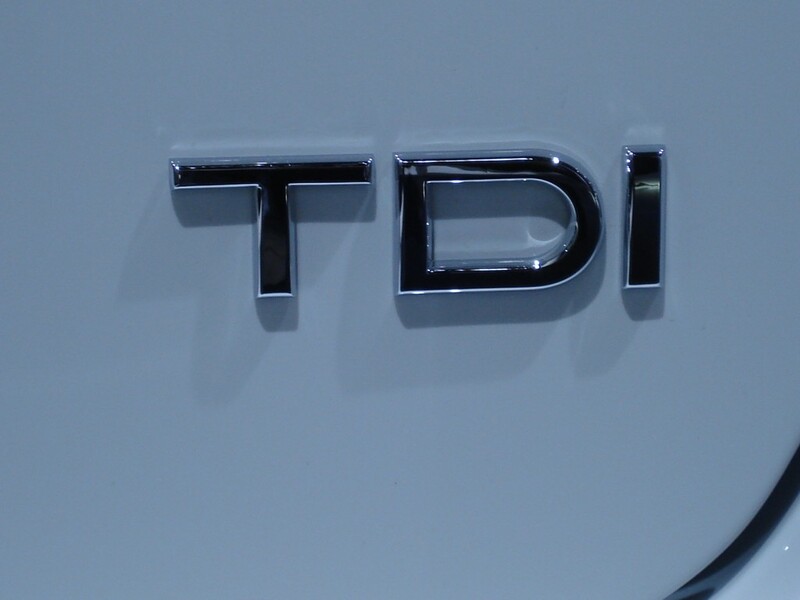 LA Auto Show: Everyone’s talking about electric vehicles, but diesel is winning. It was ironic that virtually every manufacturer was talking about EVs in one form or another, yet the much less fashionable technology…diesel…took home the Green Car of the Year prize. 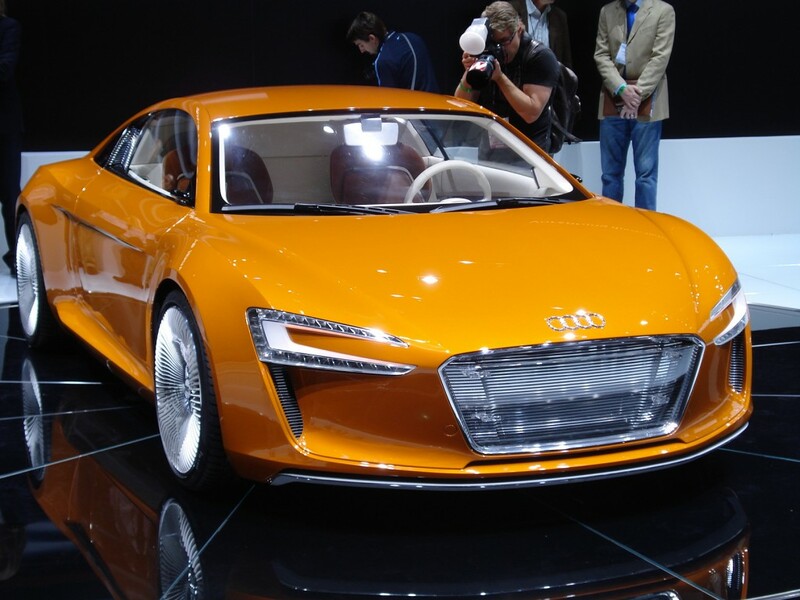 Don’t get me wrong, I think some of the electric cars and concepts are fascinating. 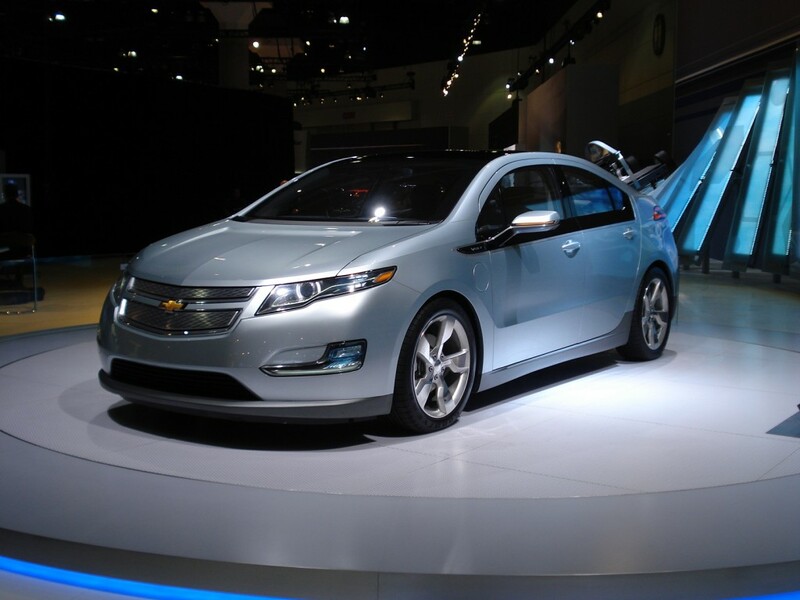 Chevrolet showed us a production version of the Volt and spoke about the fact that there would be no “range anxiety” because of the small motor that would generate electricity to charge the batteries. Audi showed the E-tron, an electric version of the R8 with an electric motor poweringeach wheel and delivering supercar performance. 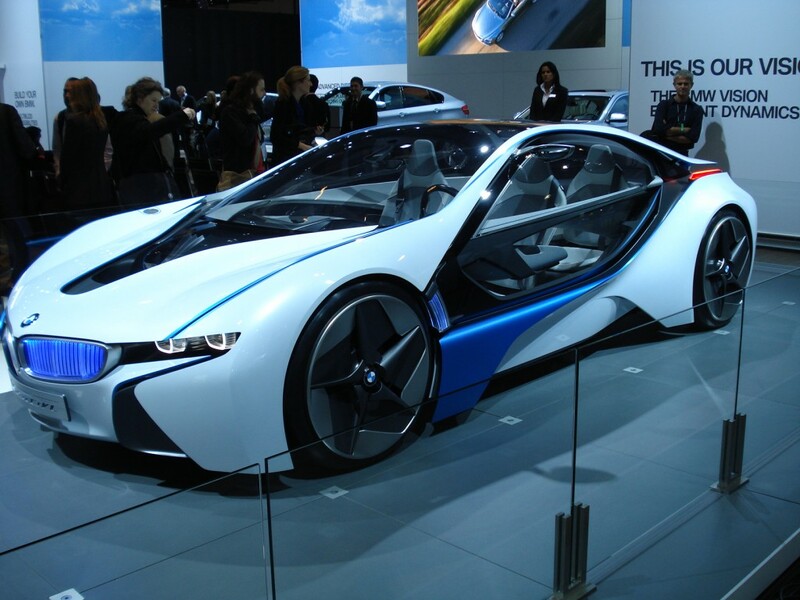 BMW’s “Vision” concept demonstrated where “Efficient Dynamics” might take the brand. 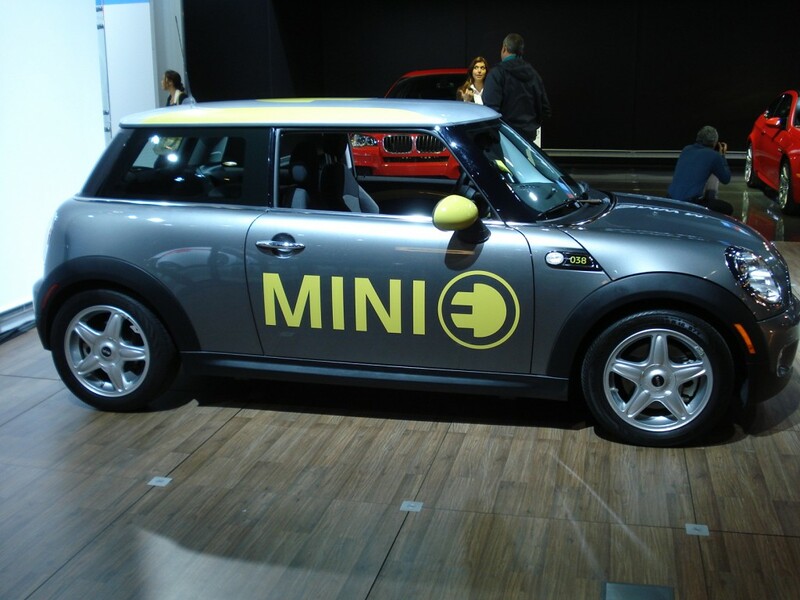 Mini has been testing electric cars on America’s roads and had an example at their stand. EVs are being talked about as if they will solve global warming, reduce our fossil fuel consumption to zero and generally save the planet. EVs are the messiah of automotive technologies. Here’s the problem, electric cars are expected to represent maybe 10% of sales by 2020. At that sales rate it’s hard to imagine the technology as a game changer from a fuel consumption or global warming perspective. At least we have the folks responsible for selecting the “Green Car of the Year” to provide a reality check. 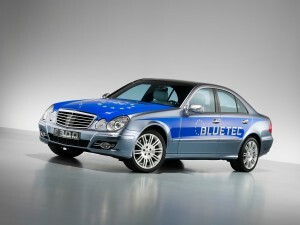 For the second consecutive year, a diesel-powered vehicle was selected as green car of the year. Why? Clean diesel is a practical and “green” approach to transportation. 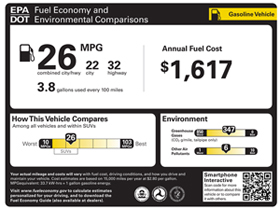 It offers 25-30% better mileage, it emits less CO2 and particulate emission is now comparable to gasoline-powered technology. Today’s clean diesels meet the most stringent pollution standards and are sold in all fifty states. 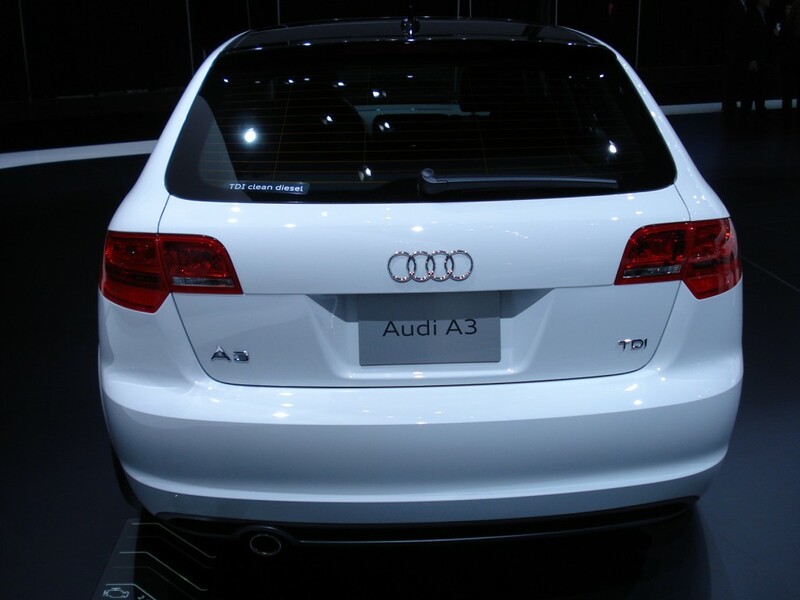 Modern clean diesels are readily available, offer the possibility of reducing fuel consumption by a third and emit less C02 than gasoline engines. Maybe after we’re done talking about technology that won’t make a difference for another 20 years, we’ll start to talk about one that can make a difference tomorrow. I know it’s not fashionable, but we need to change Americans’ perception of diesel because it makes sense. automobile industry is entering new territory as the recession wanes and consumers, who have been emotionally scarred by the last 18 months, remain cautious. Many believe that consumers have been forever changed by this recession and that they will be more conservative with their money for years to come. No one expects that the automotive industry will achieve the heady sales levels of the early part of this decade. At best, we will attain a “new normal” of 15-16MM units in 2013. That means that competition for customers is going to be tougher than ever and no one’s business is going to grow just hanging on to the industry coattails. Historically the manufacturers have reacted to these types of circumstances by using incentives. These tactics artificially inflated sales earlier in the decade, pulling sales forward and contributed to the most recent “correction” that has pummeled the industry. Using short-term incentives to steal share is not the answer to long-term prosperity, it’s merely a tactic that gives a franchise a quick shot in the arm. Establishing a brand’s immutable points of difference and creating consumer affinity for it, is what creates value over the long term. It’s about time the industry took “branding” seriously. You only need to look as far back as the last eighteen months to see the power of an automotive brand. Subaru and Mini have survived the recession and some would argue have flourished under incredibly difficult circumstances while virtually every other manufacturer suffered. The automobile industry has not made building and nurturing its brands a priority. There are some exceptions like Subaru, Mini, Porsche, BMW, Mercedes Benz and Jeep. But generally speaking investing in the brand has been the first thing cut by automotive marketers when things get tough. The brand investment gets cut in favor of marketing efforts that will “make the doors swing.” Frankly some of the above-mentioned brands have weakened in recent years, but clearly the marketers in charge of them have historically recognized the leverage created by a well-understood brand. The first step toward having a well-understood brand is being able to clearly articulate it. This is not a tagline or even a series of “core values,” both these approaches seek to summarize a brand. The first step is a complete and full articulation of the brand, several pages perhaps, that explain its history, beliefs, behaviors, accomplishments, failures and contributions. This document seeks not to summarize a brand’s essence but rather to capture it in detail; it describes the brand’s character, what makes it authentic. The process of writing it down is critical. A consultant friend used to say that: “nothing exists until it is spoken.” In this case, if you can’t write this document about your brand, then you don’t have a brand. Often it can help to have an “outsider” write this document, if you allow that person full access to your company and your people. Either way, you need to articulate your brand in depth and in full, as it should form the underpinnings of all that you do. It should drive communications, your use of social media, dealer experience and everything in between. With this document in hand, you are ready to leverage your brand and give your customers the experience that will differentiate you from the competition. Without it, you’re grasping at straws, hoping that somehow everything comes together. In the hyper competitive “new normal” market of 12-16 million units, “guessing and getting lucky” will not carry the day.Opportunity knocks for well-articulated automotive brands. The automobile industry is entering new territory as the recession wanes and consumers, who have been emotionally scarred by the last 18 months, remain cautious. Many believe that consumers have been forever changed by this recession and that they will be more conservative with their money for years to come. In the hyper competitive “new normal” market of 12-16 million units, “guessing and getting lucky” will not carry the day. VW & Crispin. It was only a matter of time. VW of America just announced that it is reviewing its advertising business currently with Crispin Porter & Bogusky. VW is truly one of the world’s most loved automotive brands. While there have been a number of clever and in some cases intrusive commercials from Crispin there has been little that has built or even sustained the VW brand. Crispin is without question one of the most talented creative agencies in the country but while they did a wonderful job helping to create the Mini brand, they never succeeded in bringing that power to Volkswagen. At times the work was startling, stopping you in your tracks…remember the “Safe Happens” commercials. Last year we saw Brook Shields introduce the Routan. Most recently we’ve seen “Max” the talking Beetle. In this commercial he introduces the Jetta diesel. While the advertising has been interesting, sometimes funny, and at times talked about, what has it added up to? Not much. In an industry that is hoping to sell a little over 10 million units in 2009 and hopes to achieve a “new normal” of 12-15 million units by 2013, competition for buyers is only going to get more intense. The manufacturers that actually have well-established brands (there aren’t many) have a leverageable asset that will enable them to “win” in this hyper-competitive environment. Volkswagen is a brand with a well-defined value structure. It started in the US with Doyle Dane Bernbach, Arnold nurtured it and now another team will have a chance to articulate the brand’s values to its enthusiasts and prospects. VW has certainly had its ups and downs in the US but throughout it all, it has been truly loved by millions of loyalists. That kind of devotion is at the heart of what makes an automotive marque powerful and it’s a good place for the next agency caretakers of the VW brand to start. We are an automotive strategy and implementation firm that makes a difference for our clients immediately and profoundly. We believe that a few senior level people working as a team can move mountains and make things happen quickly and productively. We’re here to partner with you, help you make smart decisions and get them implemented quickly Opportunity knocks for well-articulated automotive brands. We are an automotive strategy and implementation firm that makes a difference for our clients immediately and profoundly. We believe that a few senior level people working as a team can move mountains and make things happen quickly and productively. We’re here to partner with you, help you make smart decisions and get them implemented quickly. 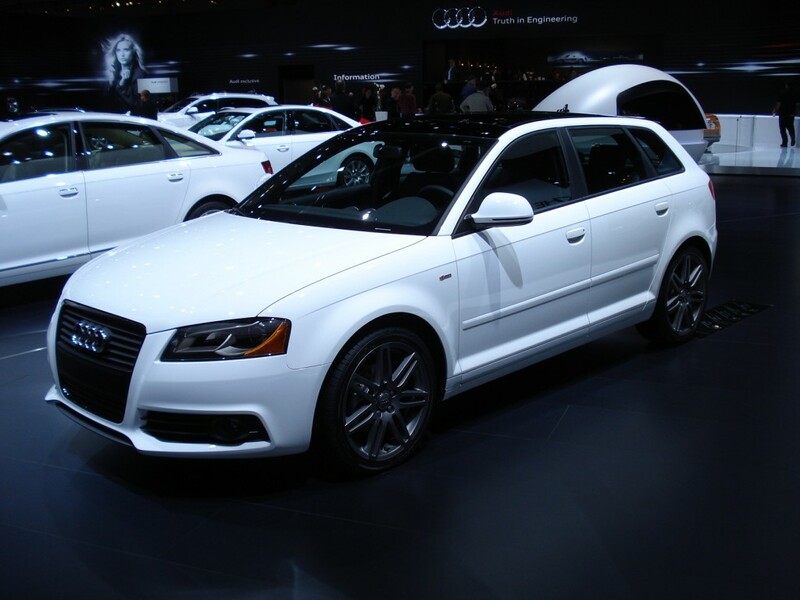 Kudos to Audi of America for taking on Americans’ perception of diesel. 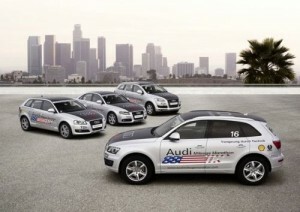 Audi of America has stepped up and taken on America’s negative perception of diesel technology. Changing American’s perception of diesel is a monumental task but one that will yield remarkable benefits. Diesel offers the opportunity to immediately reduce our consumption of oil, reduce emission of CO2 and get better mileage. Diesel can help manufacturers satisfy the new CAFE standards. All this from a proven technology that is well understood and available today. Why aren’t we talking about diesel? 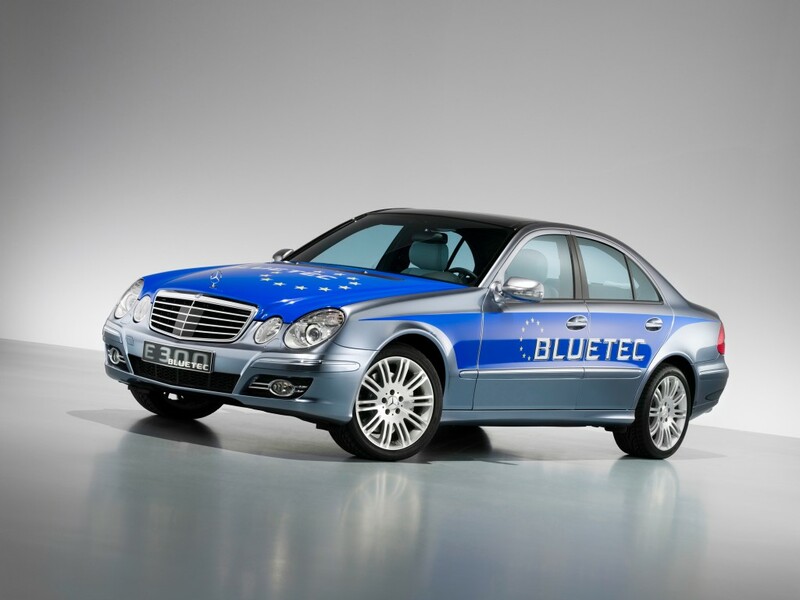 Amid all the blather from Washington about hybrids, plug-in electrics and other green technologies is an engine technology that is clean, fully developed and ready to make a difference…clean diesel. For the life of me, I can’t understand why we are not having a more meaningful conversation in our country about the advantages of clean diesel. Actually, I do understand. Diesel is a much misunderstood technology in America. We all remember those diesel Rabbits with black stuff all over the hatchback and a steady stream of vile smoke out the back. Mercedes Benz has been marketing diesels in this country for decades and there are still many smoky, noisy 300D’s on our roads today. Unfortunately this image is the impression most Americans have of diesel technology. Diesels are dirty, slow, noisy pollution machines.